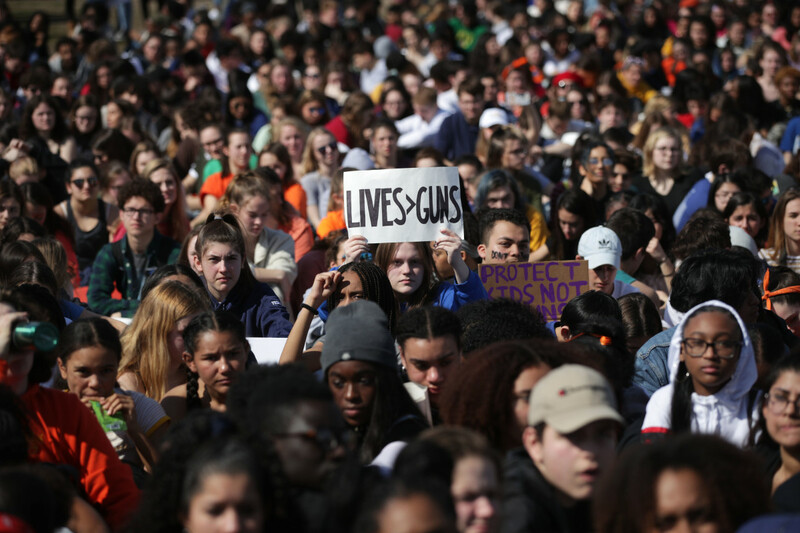 Students gather at a gun control rally at the United States Capitol on March 14th, 2019. Both were students at Marjory Stoneman Douglas High School in Parkland, Florida, during the February 14th, 2018, shooting that left 17 people dead. Both survived the school shooting—the deadliest since the Columbine High School massacre. Now, both are dead of suicide within a single week. Sydney Aiello, a 19-year-old Parkland graduate, killed herself with a gunshot wound to the head last weekend, the Broward County Medical Examiner&apos;s Office told NBC News. 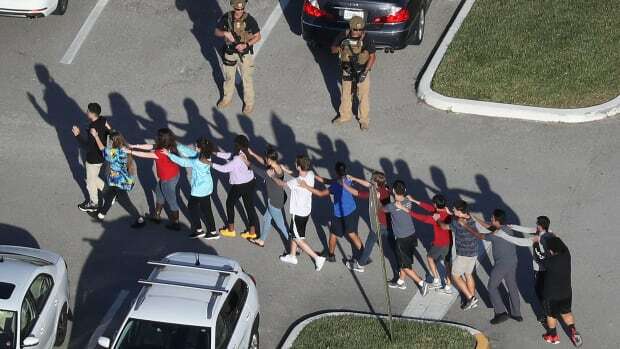 Her family told CBS Miami that Aiello had struggled with college because classrooms scared her and she had survivor&apos;s guilt following the death of her friend in the shooting. A week later, on March 23rd, the Coral Springs Police Department announced that a current Stoneman Douglas sophomore (whose name remains unreleased at this time) had died in an "apparent suicide." 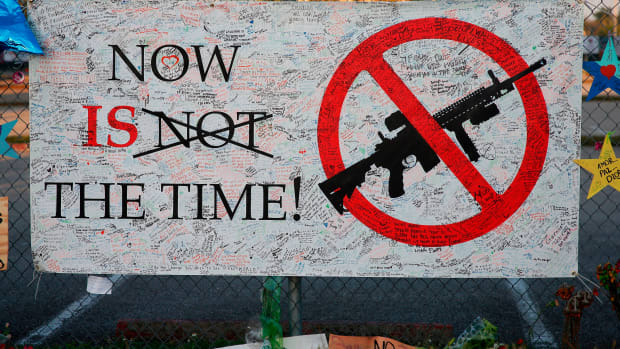 In the 20 years since Columbine, some 223,000 American students have been exposed to gun violence at 229 schools across the country, according to a database of gun violence compiled by the Washington Post. In terms of absolutes, those numbers may appear small: 3.3 million students are expected to graduate from public high schools this year alone, according to the National Center for Education Statistics. But school shootings don&apos;t just kill and maim: They traumatize and terrorize, and the wounds they leave cast long scars across American civil society. A decade after Columbine, survivors told ABC News that they remained haunted by flashbacks, anxiety, and survivor&apos;s guilty; the two Parkland student suicides evoke the death of Greg Barnes, a star Columbine basketball player, who took his own life two weeks after the first anniversary of the massacre. On Monday, the father of a first-grader killed in the 2012 Sandy Hook Elementary School shooting was found dead of apparent suicide, the Hartford Courant reports. 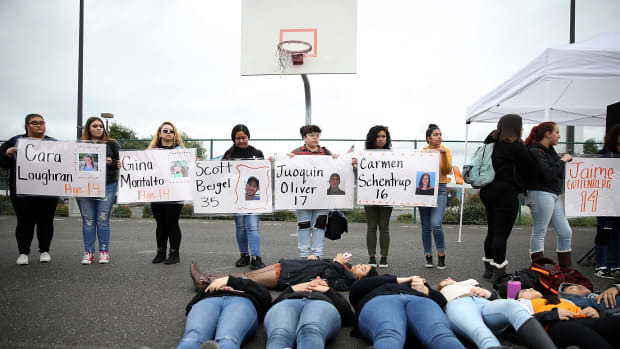 Numerous studies show how surviving school shootings can negatively impact students throughout the rest of their lives. A 2016 study of post-shooting student performance published in Educational Evaluation and Policy Analysis found that school massacres dramatically decreased not just math and English scores on standardized tests, but overall enrollment in high school broadly. These effects can compound later in life, the study authors note: "If students attending schools that experienced a shooting have lower test scores, they might be accepted into less selective colleges, which could lead to lower earnings later in life." That survivors continue to confront the trauma of a mass shooting well after their physical injuries have healed is unsurprising. According to the National Center for PTSD, a wing of the Department of Veterans Affairs, an estimated 28 percent of people who witness an American mass shooting develop post-traumatic stress disorder (PTSD), while a full third develop the more short-term acute stress disorder (ASD). 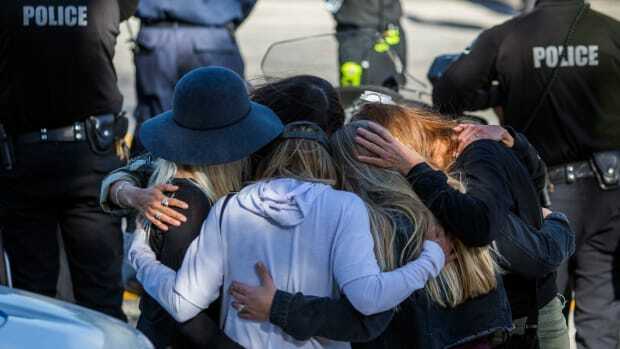 As University of Mary Washington assistant professor of psychology Laura Wilson put it in the American Psychological Association&apos;s Monitor on Psychology in September of 2018, "Simply by definition, mass shootings are more likely to trigger difficulties with beliefs that most of us have, including that we live in a just world and that if we make good decisions, we&apos;ll be safe." Physiologically, ASD and PTSD wear down one&apos;s capacity to deal with "wear and tear on the body in response to repeated cycles of stress," according to a 2010 review in Word Psychiatry. This can result in chronic stress that the APA regards as an obstacle for lifetime educational and economic achievement. While the APA indicates that the community responses to school shootings can help mitigate the impact of ASD and PTSD on young people, schools themselves are increasingly a source of stress for students. According to Gallup, 20 percent of parents say their child expressed fear of attending school at the start of the first school year after Parkland, eclipsing the 18 percent who said the same as the start of the first school year after Columbine in August of 1999. And measures proposed to prevent future school shootings might be adding to that stress. 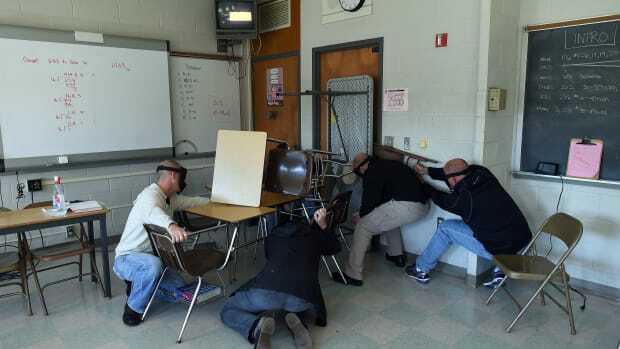 In the wake of the Parkland shooting, school districts in states like Maryland, North Dakota, and Minnesota adopted a distinctly American response to gun violence: the militarization of their schools, inaugurating new surveillance systems and increasing policing. 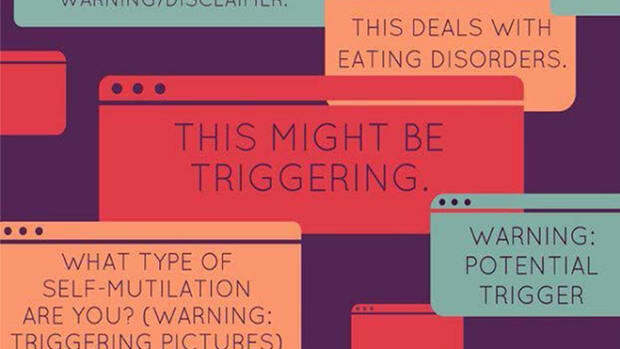 Experts have noted how such measures frequently add stress to students, particularly minorities. "Mass school shootings are carried out almost exclusively by white male teenagers—and yet the evidence suggests that black students are disproportionately targeted under &apos;zero tolerance&apos; policies that schools typically implement in the wake of such events," Áine Travers writes in a review of research published by The Conversation. "Though Hispanic and black students make up 45% of the student body, they constitute 56% of those expelled under such policies. This is another, indirect psychological consequence of school shootings for young people, concentrated on black and minority students." Thoughts of death inspire us to cling more tightly to the beliefs that give our lives meaning—including our ideological stances.